If you've already read about Technical analysis, you know that it is the most successful and commonly used method for making Foreign currency trading. In technical analysis traders look at various charts, and thus analyze the market and decide how to execute their foreign currency trading decisions. Bar Charts - The bar chart is a popular currency trading chart which shows the closing prices, the opening prices, and the highs and lows of the currency pair, all displayed in one chart. Line Charts - A line chart has a line drawn between different closing prices. This forms a single line which goes through all of the currency trading prices. The price movement of the currency trading pair is thus seen over a period of time. Candlestick - Candlestick charts show the same information as a bar chart, including the Open, High, Low and Close price for the wanted time range. The difference between this chart and the bar chart is that candlestick has a body to indicate the currency trading price changes and detail, while the bar charts are made solely of lines. Point and Figure - A Point and Figure chart has a series of X's and O's that make up the price movements in the chosen time frame. X represents an increase in the currency trading price and O represents a decline in the price. Heikin-Ashi - This is a type of candlestick chart, that differs from the other candlestick charts by the values used to create every bar. Instead of using the open, high, low and close bars, the Heikin-Ashi technique uses a modified formula to analyze the foreign currency trading market. Kagi - Kagi charts are charts that are used to analyze supply and demand factors. A green Kagi line means that demand exceeds supply, and the market is in an up trend. A red Kagi line indicates supply exceeds demand, and the market has a down trend. Three Line Break - This chart is somewhat similar to point and figure charts. In a three line break, a rising line indicates that the closing price is higher than the previous closing price. A falling line means that the closing price is lower than the previous closing price. 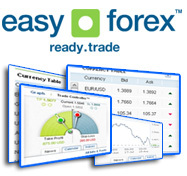 The various charts offer different price data that you can use while making foreign currency trading. This data can be seen in a variety of timeframes, including weekly charts, 4 hour chars or 15 minute charts.